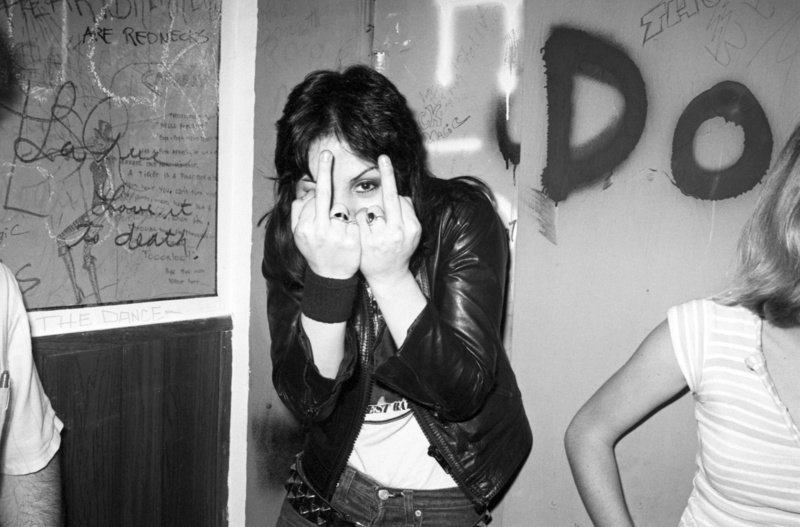 Joan Jett is not pissed off at me. She is just being Joan! We were all hanging around backstage waiting for Joan and the rest of The Runaways to take the stage. In a thousand years when a historian finds this photo they will be able to pinpoint the exact location by looking at the hieroglyphics on the wall of The Whiskey.